Art Clayman has used the Canalway Trail in the Schenectady area for many years. 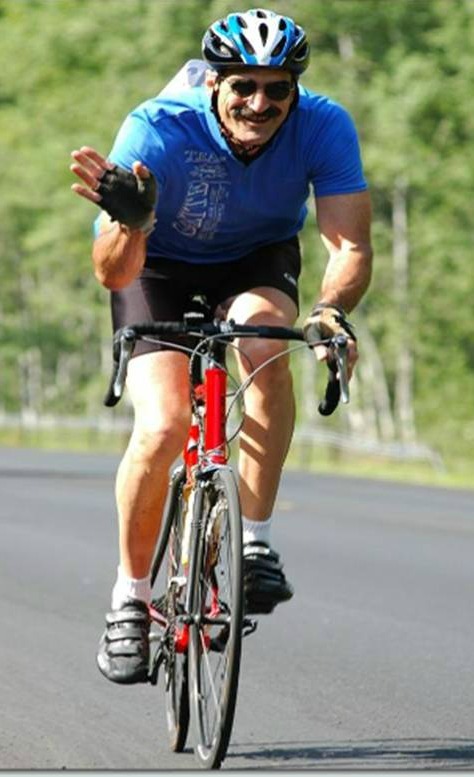 As an avid cyclist, he values the trail for providing a relaxed, traffic-free venue for a ride. He also found that his visiting relatives enjoyed an afternoon on the trail and appreciated the ease and safety it affords. Art retired last year after a 37 year career in journalism, most recently serving as a longtime editorial page writer at the Daily Gazzette, and decided that devoting some of his free time to “Ambassadoring” would allow him to give back in an enjoyable way. In his words, “Ambassadoring allows me to participate in an activity I love, in a place I love, and to talk about them with other people.” In addition to riding on the trail, Art often leads spinning classes in the Schenectady area. Canal Corporation Director, Brian Stratton, reports that Art is one of his favorite spinning instructors. Some of Art’s inspiration may also come from an experience he had on the trail many years ago. He rode the Canalway Trail from the General Electric R&D Center in Niskayuna to Jenning’s Landing in Albany and back again — a distance of about 60 miles. The temperature was in the 90s with high humidity, and Art was only carrying one small water bottle. Art didn’t get off the trail to look for water or food, and he suffered on the way home. Art’s bad day was a reminder for him to be more prepared for rides, and to become more familiar with amenities along the trail. Both will come in handy as a Trail Ambassador. Art reports that his initial Ambassador rides have gone well. Sometimes trail users are confused or suspicious as he first approaches them, but generally after he explains the program, they are interested and appreciative of the assistance. Great to have you on the trail, Art! You can find more information on the Canalway Trail Ambassador program here.